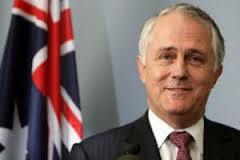 Malcolm Turnbull was on 15 September 2015 sworn in as the 29th Prime Minister of Australia. Turnbull was sworn in by Governor-General Peter Cosgrove. With this, Turnbull, the former Communication Minister of Australia, became Australia's fourth prime minister since 2013. Turnbull gained the power as leader of the ruling centre-right Liberal Party after defeating Tony Abbott in an internal party leadership ballot. In the ballot, Abbott received 44 votes while Turnbull received 54 votes. Malcolm worked as a journalist before he began legal practice in 1980. He successfully defended the former MI5 agent Peter Wright in his efforts to publish his memoirs, Spycatcher. In 1987 Malcolm established his own investment banking firm and during that time co-founded a number of Australian companies including OzEmail Ltd.
His political career began in 2004 when he was elected as the Member for Wentworth and upon entering Parliament; he joined the Joint Standing Committee on Foreign Affairs, Defence and Trade. In December 2007, Malcolm was appointed as a Shadow Treasurer and following a leadership ballot in September 2008, he was elected to lead the Liberal Party as Leader of the Opposition, a position held until 1 December 2009. Malcolm was the Minister for Communications from September 2013 to September 2015.